Always plenty happening at PHP, whether it’s our regular weekly offerings like Cult Cinema Tuesdays and PHPIZZA Nights every Thursday, or one of our epic carpark parties, there is always fun to be had! The time has come again for one of the most epic ANZAC Day events in the Inner West! - Tinnie stalls from Young Henrys, Stone & Wood, Pirate Life, Yulli's & Grifter. - Roosters V Dragons on all screens with the sound all the way up! Once again, we'll be doing what we can to help raise money for Legacy Australia. We'd love as many of you to join us in commemorating this special day. Doors open from 11am, 2-Up will kick of at midday, hope to see you there! Join us every Tuesday for Cult Sinema Obscura in the bar. Curated and hosted by Jay Katz and Miss Death, the weekly screenings see the duo digging deep into their vaults to unearth some of the most obscure, lost and bizarre creative endeavours ever committed to film! Free entry. Shorts & Trailers from 7pm, film from 8pm – get in early for the best seats. Trivia is BACK at PHP and now it’s here to stay! Blood, sweat & beers will be shed - will your team be the team to take out first place? We’ve got a $100 food & bev voucher for first place, $50 food & bev for second and a well rounded Stone & Wood + PHP merch pack for our bronze medalist for the evening. And let's not forget all the prizes & mini-prizes to be won on the WHEEL! The effervescent & ever-lovely Bec Charlwood hosts what will be an absolute rip-snorter of an evening. You won’t go thirsty either, we’ve got $15 Stone & Wood Jugs alongside $6 Schooners, how skitz is that?! Food specials on for the night, be sure to check the blackboard for our daily Catch & Beast specials. Team sign-up at 7PM - Trivia starts 7:30PM. Call us on 9568 3703 and follow to prompts to make a booking, or click here to book online. Public House Petersham's all new weekly Pizza Night is on every Thursday night! 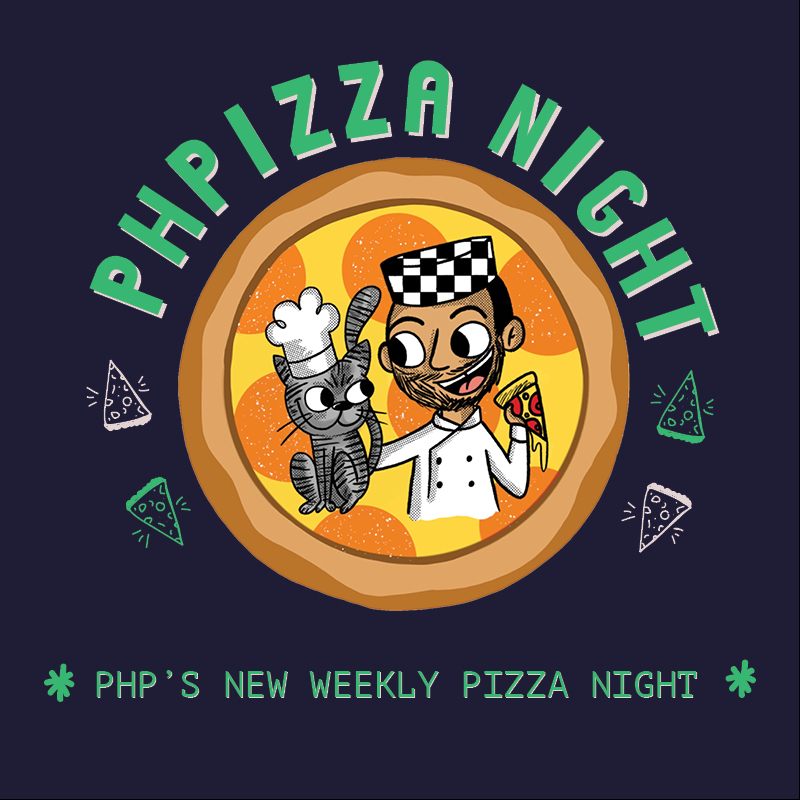 With one of the freshest ranges of pizza in the Inner West, PHPizza Night is sure to satisfy any and all pizza lovers! We've got veggo, vegan, seafood & meaty options with gluten free bases available on request so no one misses out. All pizzas on the menu are just $15! Come join our Head Pizza Chef Manu (and our special Sous Chef Gizmo) for a pizza night with family or friends! Call us up to make a booking for a pizza night with friends and/or family! Cricket, Bledisloe Cup, Rugby Championship, AFL, NRL - it's all happening in the world of sport. Want to watch a game front & centre with a group? Call us up to book a table right in front of our big screen, watching all the action live & loud right next to the bar. Give us a buzz and book now (02) 9568 3703 or click here to book online.